A new paint color and color scheme seem to pop up every week. If you're ready for a new look, you're probably keeping things you love and things you need like your sofa, paintings or rugs as part of your new look, if not core, of your inspiration. Whether its existing wall decor, furnishings or floor coverings; factoring and blending them together with your new colors becomes a huge job. You can do it. But, do it before you buy your new paints. 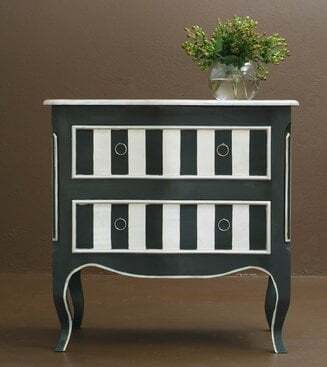 If you didn't read Part One Paint Colors – How to Choose Wall Paints and Room Colors and Part Two Paint Colors – Choosing Walls You Love to Live With for a background in choosing paint colors, mistakes and mood go back and read them for more ideas. Once you've decided what is staying and what is on the way out, work out whether the colors you are left with are muddied (muted) or clean and what undertone colors exist. I tell you the best ways to work out these further down. These bits of information are important if you want to tie in your existing colors with your new color scheme. Get this right and you are half way to creating a room you will love. It always surprises me how color, can look so incredibly different on different walls; even in the same room. Add floor colors, textures and light and making it all work with your existing color scheme and wall decor can be a headache. Go with what makes you feel good. Keep what lifts your mood and your energy. And that's why choosing the right paint color is so important. Thinking of going minimalist and clean with white paint. White walls are the new beige, with co-conspirators black and gray (grey) close behind. White paint is easy to find, replace, and a great backdrop for bright and muted colors, so it's no surprise. White paint can also take on many looks; from crisp to rustic, without looking clinical. To successfully change your walls to white, make sure your new white paint undertone blends with your existing decor and their color undertone given your room's natural light. That means looking for an undertone of yellow, red or pink, blue, brown, gray and green. You're eye won't see it in the store, with so many other competing shades and colors, but get it home and put it next to your other colors and it will become obvious. To do this properly, you need good light. The brighter your natural light, the more accurate your wall colors will look. In a cool light, your wall colors will look flatter; more blue or gray. The warmer your natural light the more orange or warm your colors will appear. Because they can look different, take natural light into account before you paint. 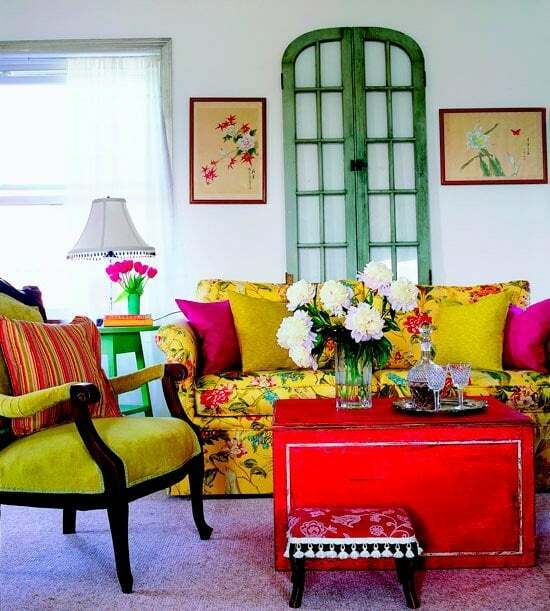 If you live in a gray climate you can freely use warmer and richer color schemes for drama and high impact. 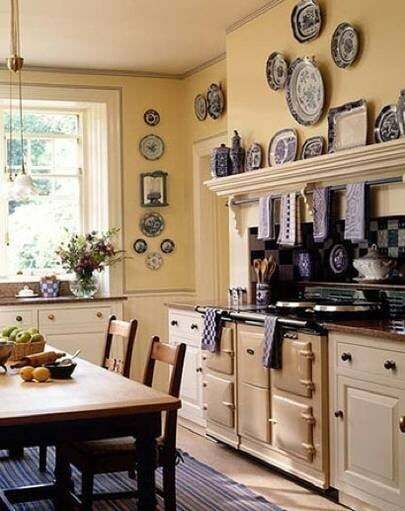 Northern European and English houses use them beautifully, getting the full dramatic effect of the light. White wall colors on the other hand are perfect for brighter climates like southern Europe and California. I talked about undertone in Part Two of this series. The best way to find an undertone is by comparing two colors. Suddenly, the underlying color becomes obvious. This is very important if you are dealing with or trying to match an existing color scheme. You can have a true red without any undertone, one with an undertone of blue or orange. Like lipsticks, when you put them close to one another the differences suddenly appear. That's why paint comparison before you paint is important. 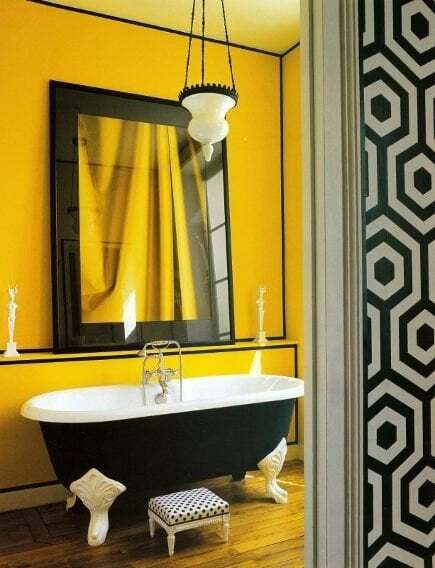 Yellow can have undertones of green or orange. In the wrong light, yellow with a green undertone can make your skin look green. Over time yellow paint with brown or orange undertones can look dirty and gray. Suddenly, your wall decor and furnishings no longer match and look wrong. Green wall colors frighten people. It's understandable. There are so many shades of green that it's easy to get it very wrong. The undertone can make you look sallow or gray when what you wanted was fresh and vibrant. The best way to test green is under artificial light as well as in natural light. Add gray and brown to almost any color and you will create muted colors. These can look muddy beside other colors but next to other muted colors, they look rich, textured and interesting. Let's talk about dark paint colors. 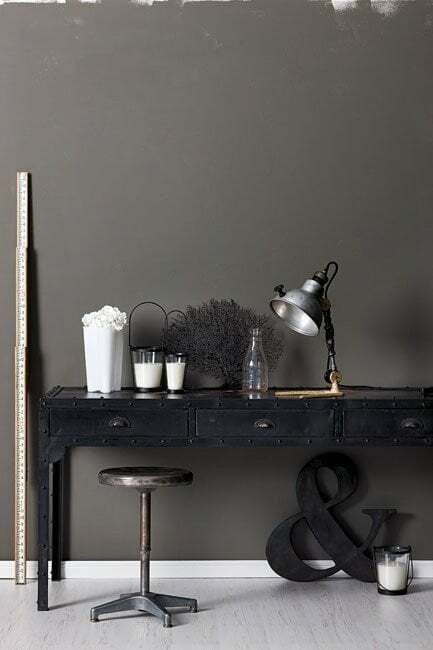 Dark paint colors have long been used in traditional homes with moldings and chair rails. Dark paint colors are placed above the chair rail and lighter colors are placed below. You don't have to follow tradition. Create an amazing look placing a great wall paper or stencil above the chair rail and a simple color below. In traditional homes, darkly colored walls are balanced with dark furniture and textured rugs, cushions and art work. 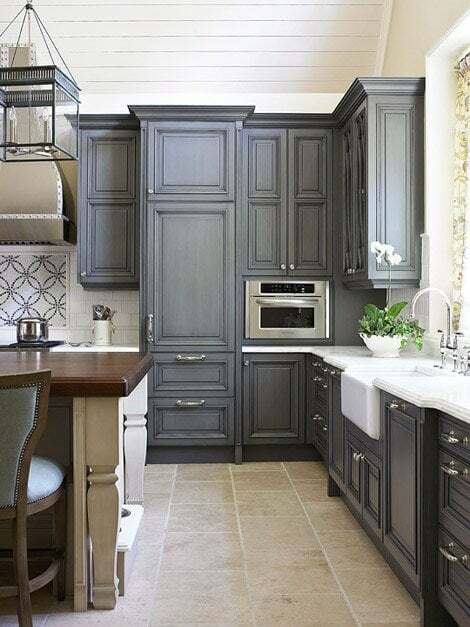 But dark paint colors can look great anywhere; in traditional and modern homes. 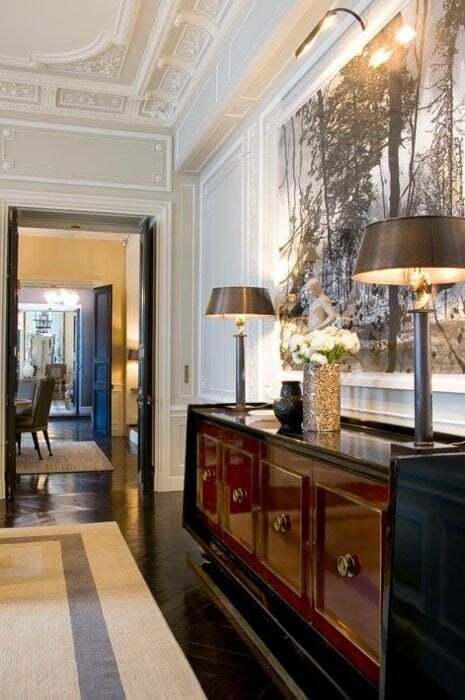 They are dramatic and look great on one or more walls to create a focal point where none exist. If you lack natural light use lighter or bright flooring, blonde wood furniture, or light art wall decor to balance or brighten your room. A good way to test your new paint colors without painting your walls is to paint a big board with your new color and move it from wall to wall. How does the light affect it? 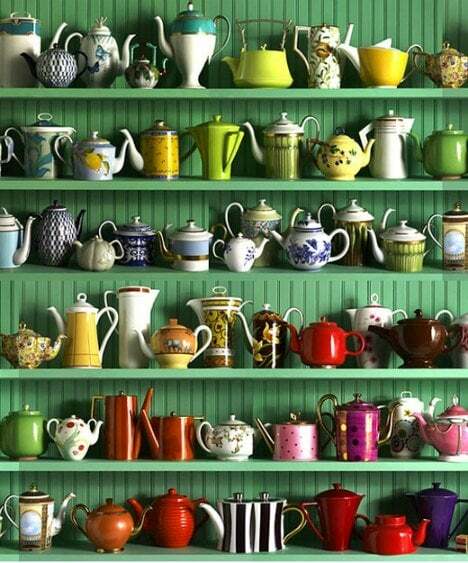 Does it blend with wall decor or wall colors in other rooms. This works really well for white paint and muted colors which are deceiving until you compare them against your existing color scheme. If you liked this post, read Part One and Part Two and join our newsletter to get a regular dose of decorating tips starting with '42 Interior Design Secrets' series. You can also Like Decorated Life and get even more tips on Facebook.